Postcards are connected to the tourism and heritage industry in Ireland. 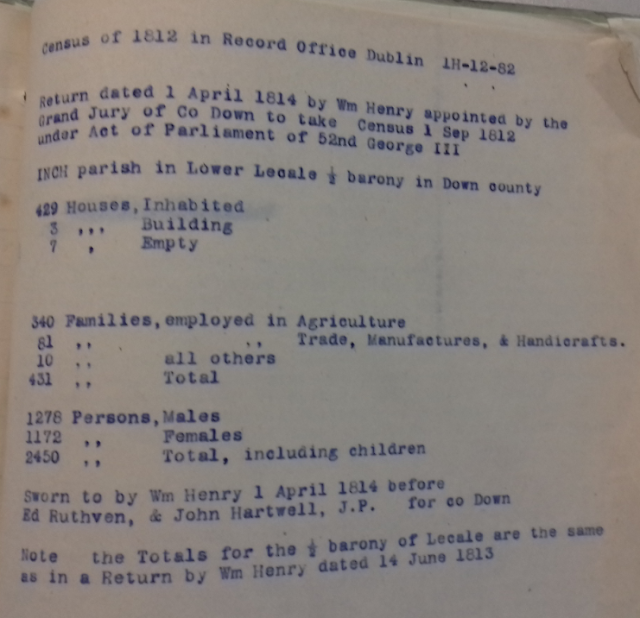 They are an important source of information on Ireland's social and cultural history. Sometimes, a postcard is the only example of a place in a certain era in color. Or they may document the work of early noted photographers; most printed postcards are made from the works of professional, not amateur, photographers, resulting in excellent production values. Photographic studios often produced postcards of localities for local consumption and for the tourist. The popularity of postcards has waxed and waned since their introduction in the late nineteenth century. The “golden age of postcards” was the early twentieth century. For this period, pictorial documentation in postcards give insight into aspects of Irish life and culture. The cards showcase changes in printing technology, postal regulations, and travel interests. Postcards provide important visual information about so many elements of Irish society that no other objects do. They can provide the best set of available images for examples of architecture, types of buildings, historic events, and certain places. They are also important for researching social history, as they often provide authentic insights into daily activities and appearances of neighborhoods, and show material culture “in a visual format. Postcards offer interpretations of what features of a city or town are distinctive or valuable by noting benchmarks of civic achievement such as train stations, public buildings and streets. They also documented rural life and scenic attractions. Additionally, they are documents of regional and time specific clothing. Postcards appealed to both visiting tourists and to local residents who frequently sent cards to people who may never visit the area. 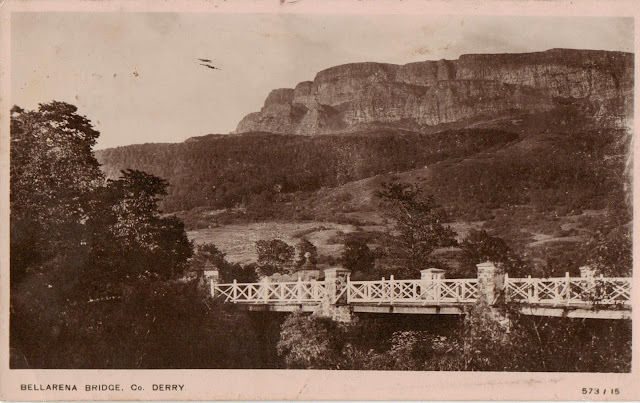 Thomas Predy had a studio in Main Street, Limavady in the early 20th century and produced postcards of the town and surrounding areas as well as providing for the demand of local families. 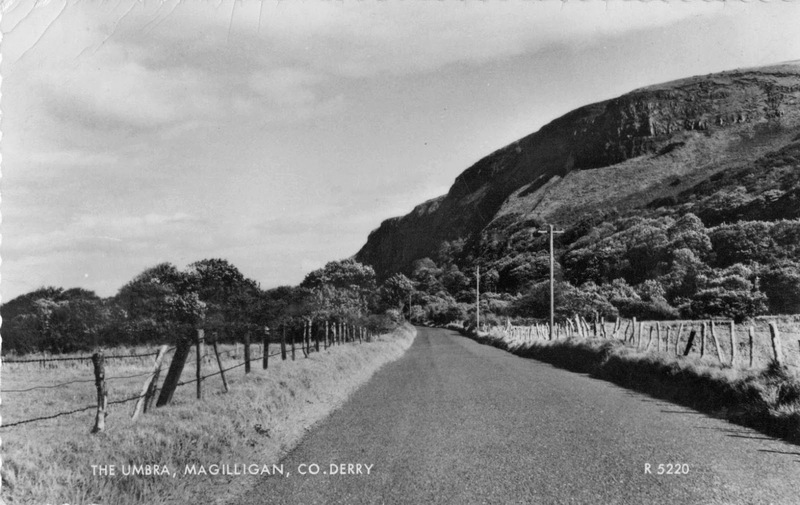 Below are four postcards showing rural Magilligan. Binevenagh provided a dramatic backdrop to many of the postcards made in this area. Game of Thrones filmed using this dramatic background for Season Six of their popular production (2015). Magilligan is an area that has attracted tourists for almost three hundred years. The postcards above are reminders of this areas fascinating history. Magilligan is an area of outstanding natural beauty situated in the basin of the Foyle beneath the impressive Binevenagh escarpment. 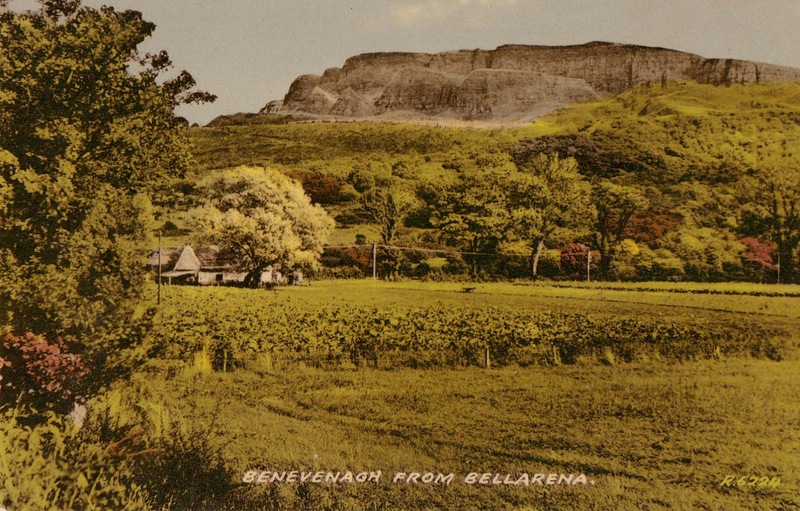 The vicinity of the ocean gives the air a mild and genial temperature, which is increased by the shelter afforded by Binevenagh against the eastern blasts. The area was renowned for the quality of its fresh air and medicinal herbs and was an attractive health resort for the wealthy or retired. We learn from Innes, in his ‘Natural History of Magilligan, 1725’, that ‘herb doctors esteemed the breast of Binevinagh mountain as a kind of psychic garden, which supplied them with medicines to be found in no other place’ (Robert Innes, the author was rector of the parish of Tamlaghtard in 1701). Many travelled from all over Ireland in search of plants and herbs that could be found nowhere else. Mother thyme, which was found in the warrens, had an aromatic flavour and its medicinal value was highly esteemed. From the eighteenth-century, the Magilligan area attracted tourists with its sea-bathing, impressive pleasure-beach, horse-riding, horse-racing and health cures. 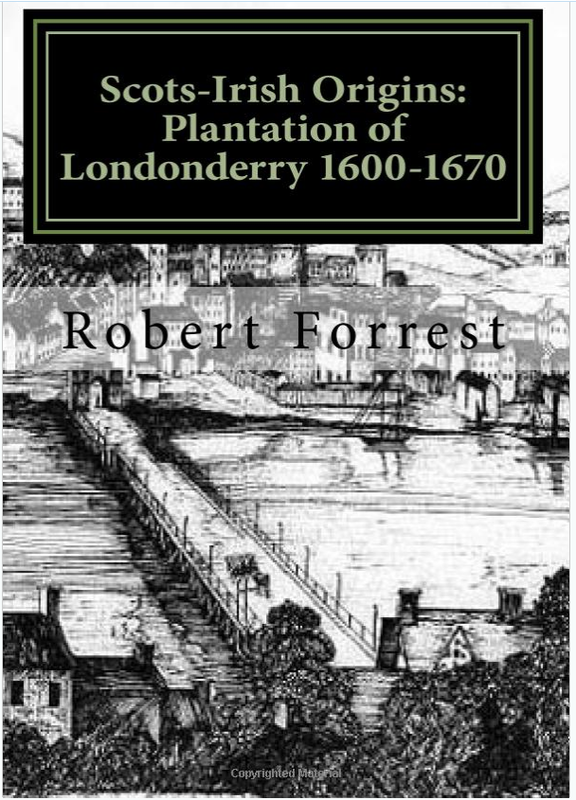 In 1752 Bishop Pocock set out on horse-back from Coleraine to Limavady. Riding down the Downhill Glen he and his attendant proceeded along the strand to the rich hay country of Magilligan, ‘we passed by the houses for lodging such people as resort to this place in order to drink goat’s whey’. The Cust family appear to have been prominent in early tourism in Magilligan offering health cures, whey-drinking and bathing. 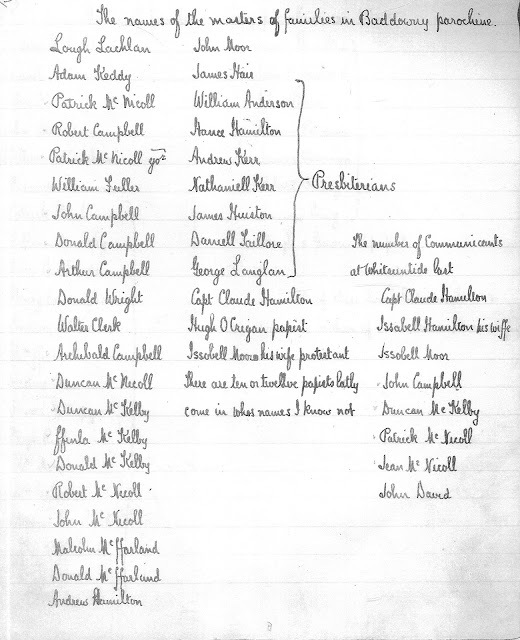 John Cust senior of Magilligan placed an advertisement in the Belfast Newsletter (19 March 1771) informing his customers of his impending retirement but stating that business would be taken over by his youngest son. 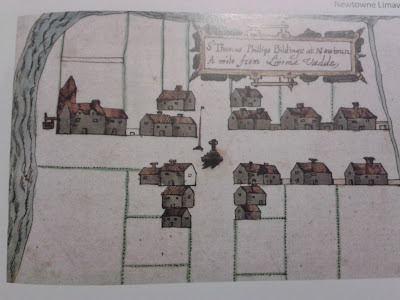 The season appears to have begun in May and in 1790 John Cust offered his customers whey goats milk, wild thyme and herbal remedies, salt-water bathing with accommodation and lodging available together with stables. 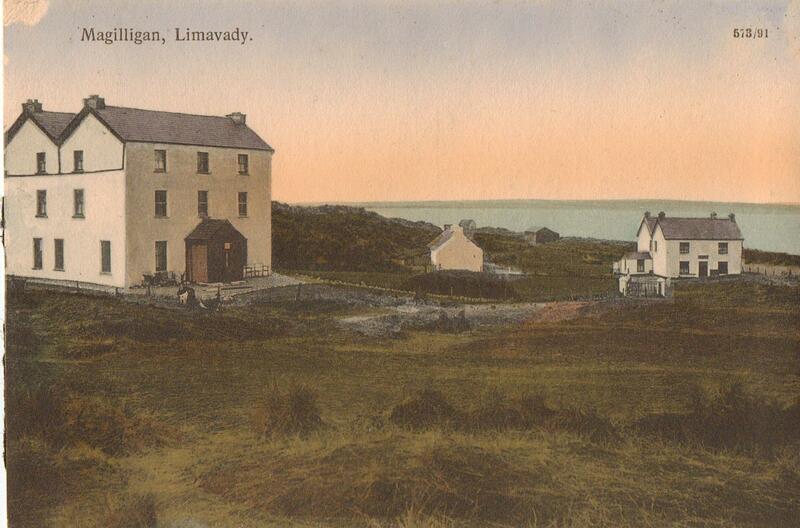 Several Limavady families had cottages built at the Umbra for sea bathing and as a summer resort including the Tyler, Moody and Cather families (OS Memoirs 1830's).